My sister, Shilpa, began showing signs of anorexia before high school. At the time, I attributed her behavior to normal teenage stuff. But over the next ten years, I watched her body deteriorate. She passed away in 2005. For years, I was in denial about my grief. It was easier to pretend not to be sad than face reality. It wasn’t until 2011, when I gave a speech to anorexia survivors and families at an event for the nonprofit Andrea’s Voice, that I broke down crying. It took me six years to speak openly about my sister. I learned five important lessons from my sister’s illness and death, which I return to often. First, I learned to own my feelings. When my sister and I would go to Starbucks or the movies, I could feel everyone staring at her. I convinced myself that I resented their attention because I was being protective. But the reality is that I was embarrassed to be with her. She knew it, and I did too. With the benefit of hindsight, I learned that my shame was really my problem. Not hers. I learned to help whenever I can—and never stop. With my sister, I went through bursts of offering support. I would call her, but she wouldn’t want to talk. I fell into this mentality of thinking, “Fine. If she’s not going to try to connect, then what’s the point?” When people show signs of giving up, that’s actually when they need you the most. I learned the importance of loving the people around you. My sister had a low sense of self-worth and really just wanted to be loved. I would get angry with her because, to me, it was so simple; she just needed to eat. But it was much more complicated than that. Learning that was my fourth lesson: that I should offer empathy, not just sympathy. Finally, I learned the importance of talking to people about all of this. As a man, I wasn’t coached on how to talk about mental illness. On top of that, I work in the American football industry, where issues like this aren’t discussed. And people of my ethnicity don’t typically acknowledge the existence of mental illness. In many immigrant families, mental illness is thought to be a fabrication of the mind. I still haven’t spoken to my parents about my sister’s death. The fact that she was a straight-A student was proof enough for my parents that, mentally, she was fine. So now I speak up about these issues. I serve on the board of Andrea’s Voice and Project HEAL, both of which promote education about eating disorders and fund treatments. If I can use my platform to speak up and help someone or their family, then I absolutely want to—for my sister’s sake and mine. 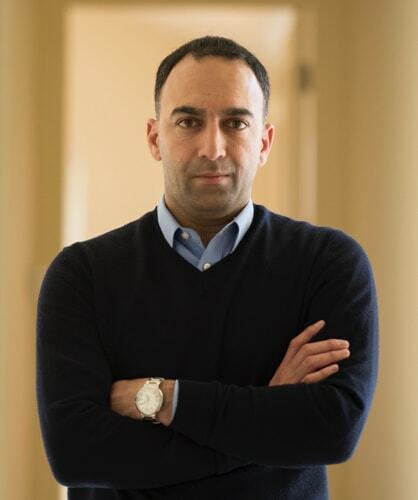 Paraag Marathe is in his 17th year with the 49ers, and first as chief strategy officer and executive vice president of football operations. In 2015, Paraag was selected as a member of the Sports Business Journal’s Forty Under 40 class and in 2016 he joined the board of directors for Project Heal, a nonprofit working to promote healthy body image and providing funding for people battling eating disorders.